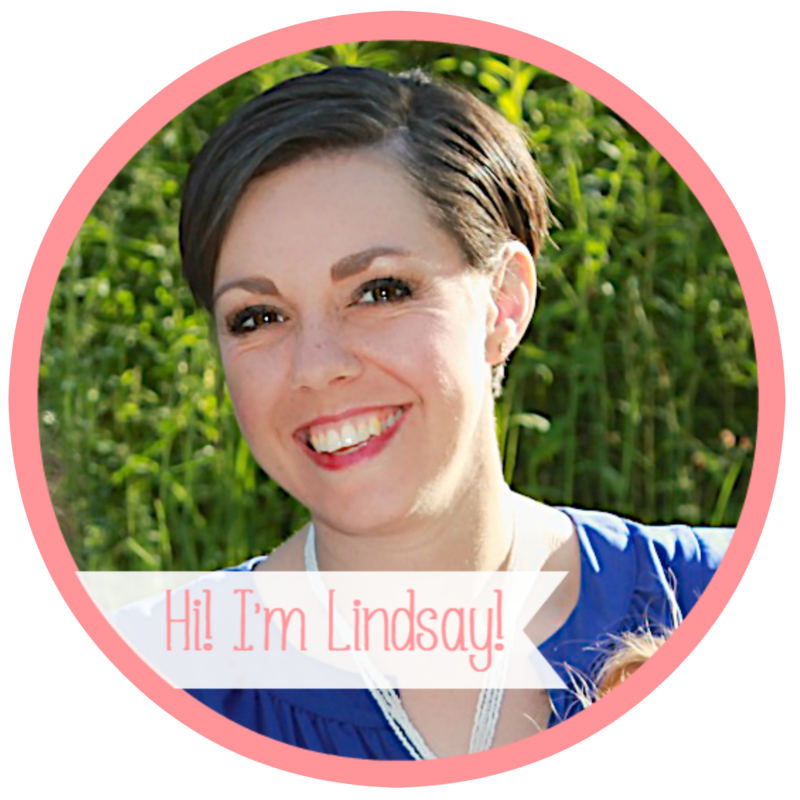 I can’t believe it has taken me all summer to get to this post! 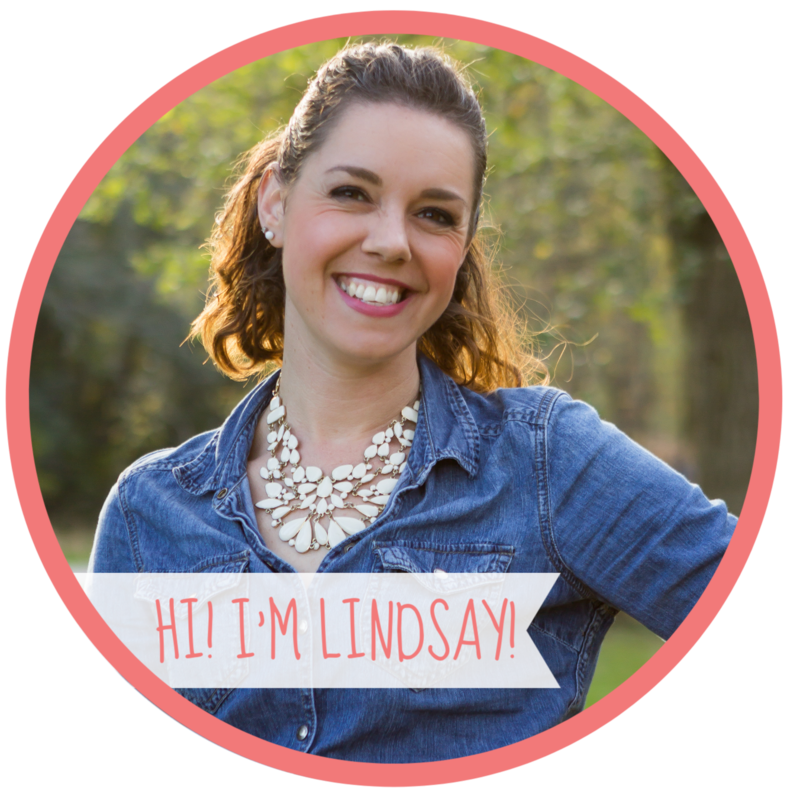 I came across this idea on Pinterest a few months ago and it has been sitting on my to-do list ever since. 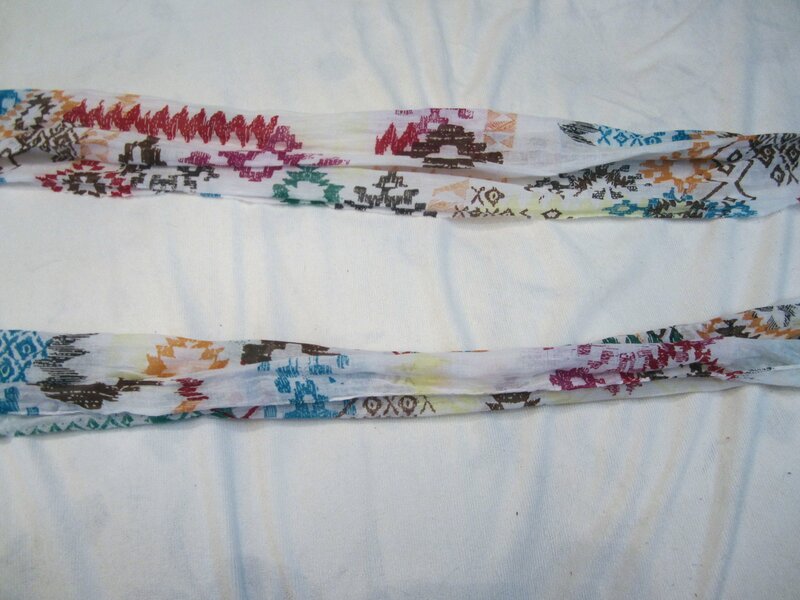 All you need for this project is a pair of flip flops, a scarf (mine was 4’ long) and scissors to cut the scarf in half (unless you happen to have 2 of the same scarf). 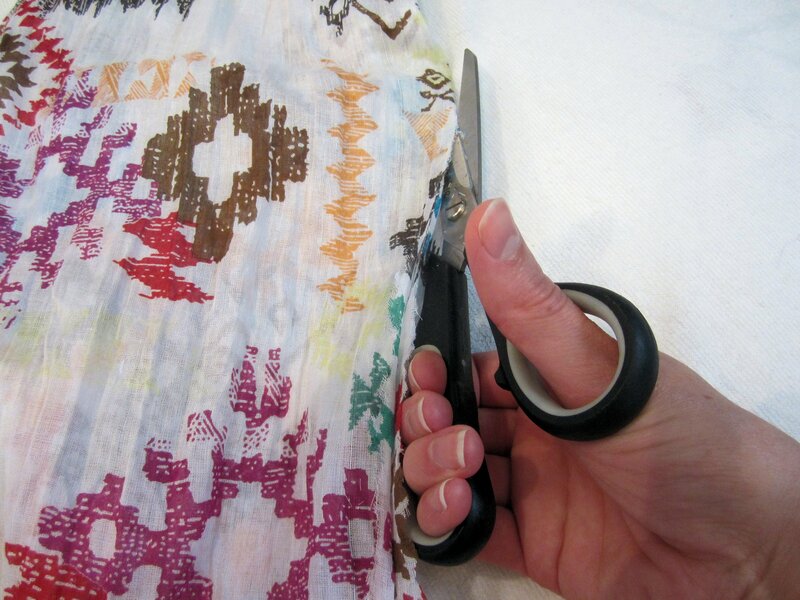 First off, cut the scarf in half length-wise so you will have 2 long, skinny pieces. 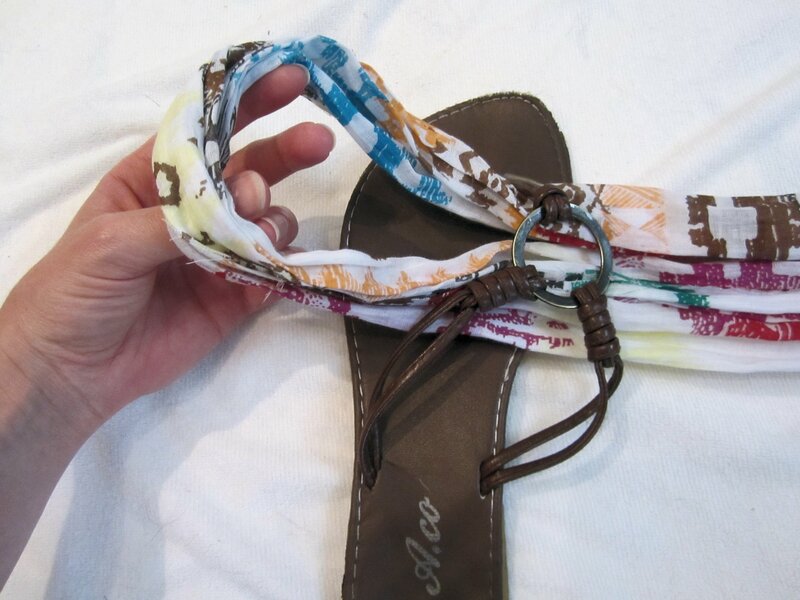 Next, knot the scarf around the toe piece and wrap it around the straps. 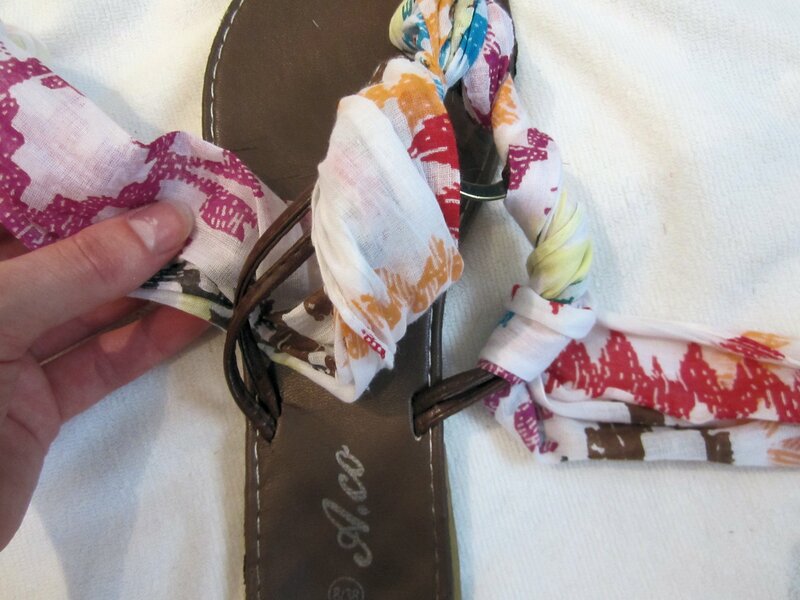 The next part is up to you and how you want the sandals to look. I wrapped the scarf around the back of my ankle, crisscrossed it at the front of my leg and tied the pieces together at the back of my leg. 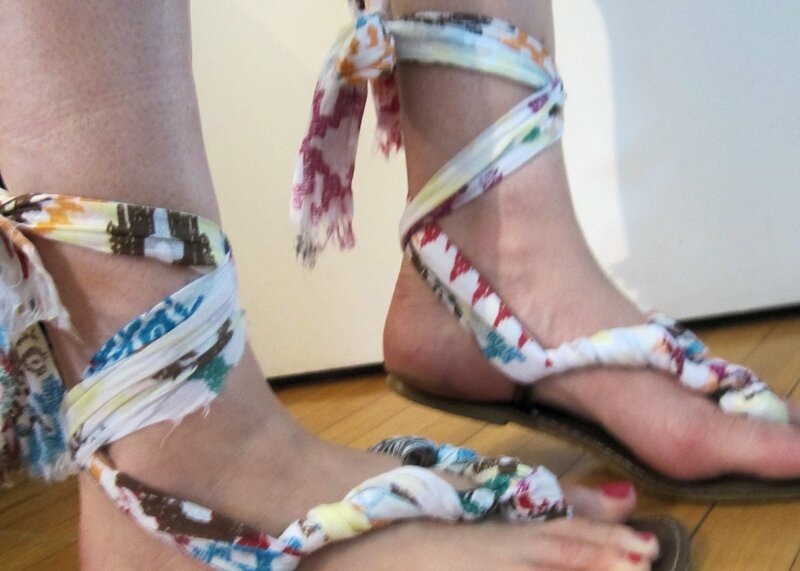 This is a great way to jazz up a pair of boring sandals or make flip flops look a bit trendier.